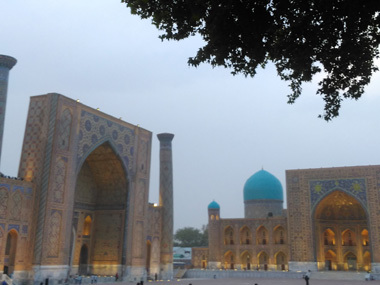 We'll be able to complete our visits in Samarkand this day as the train that must taking us to Khiva is by night, so it makes and entire day in this city. We have a priority for today: exchanging money. 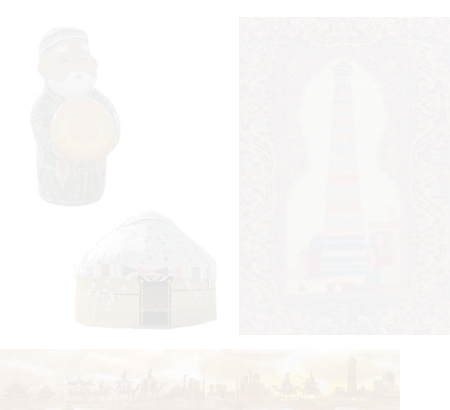 The soms we brought from Tashkent are spent and yesterday was Sunday so banks were closed. The first thing I do after breakfast is going to the bank in Tashkent Avenue, but I find there that, unexpectedly, they’re not exchanging money and foreigner cards cannot be used in their ATM. With this, I come back to the hotel to ask about our options. The solution seems to be to take a taxi to the only bank in the city we can use our card, which is far away. We choose the dark option offered by someone, though: exchanging the money in the black market, and we’re told new bank notes are not there yet, so all the change will be in the old way, with 1000 soms notes. We give 200€ to this person as our emergency is paying for the hotel, which is three quarters of the total and we’ll exchange more once in Khiva. When we get the local money, which is what is in the photo, I go downstairs to pay for the hotel. It’s 11 AM when we’re ready to leave the hotel. From out list of highlights, the only ones remaining are the two just around the hotel: Bibikhanum Mosque and the market. We go first to the market thinking on leaving the shopping in the hotel, but it is far from the live we saw yesterday here. Inside, there are just a few stands opened. We’re offered for some tasting of sweets in one of them and we end by buying a block of nougat by 6000 soms. Finally, we’re by the Bibikhanum Mosque entrance, where we pay 22000 soms each and 5000 more for the photo permit, 49000 soms in total. The central courtyard is quiet and we could spend the day here watching the birds. The buildings around are beautiful, but in ruins. Although remains enough as per having an idea of how magnificent this place was. There are a lot of corners for fantastic pictures here, with the trees and the patterns in the walls and blue domes. After a 40-minute visit, we’re back in Tashkent Avenue with all the tasks done for this city. There are great views of the mosque from the avenue. 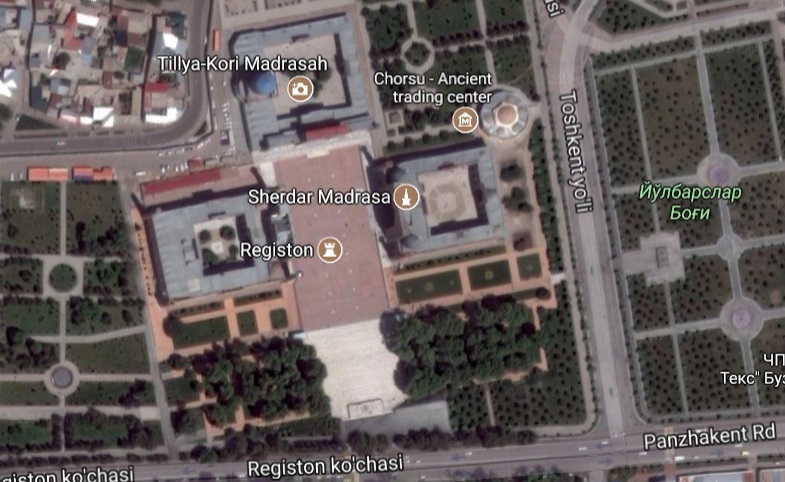 We walk along Tashkent Avenue with no rushes, exploring every gift store there and, we find ourselves in the Registan. We keep walking through the gardens, where is Chorsu, the old market. We walk the avenue back to the hotel looking the daily life here, that’s why we didn’t want to take the electric vehicles that work along this avenue. We’re looking for a place for our lunch too. We choose the terrace of restaurant Bibikhanum Chaikana, just besides the hotel, where we eat their homemade pasta and some chicken by 50000 soms. Then, we choose the terrace at the top of the hotel for out tea, which has a fantastic view of Bibikhanum Mosque. After this we go to the room for a nap. When we can see sun is setting we leave for a walk to Registan as we want to see it with the lights on. When we get there, we’re astonished by the view. We’re spending there more time than we thought admiring this wonder as the night is coming.